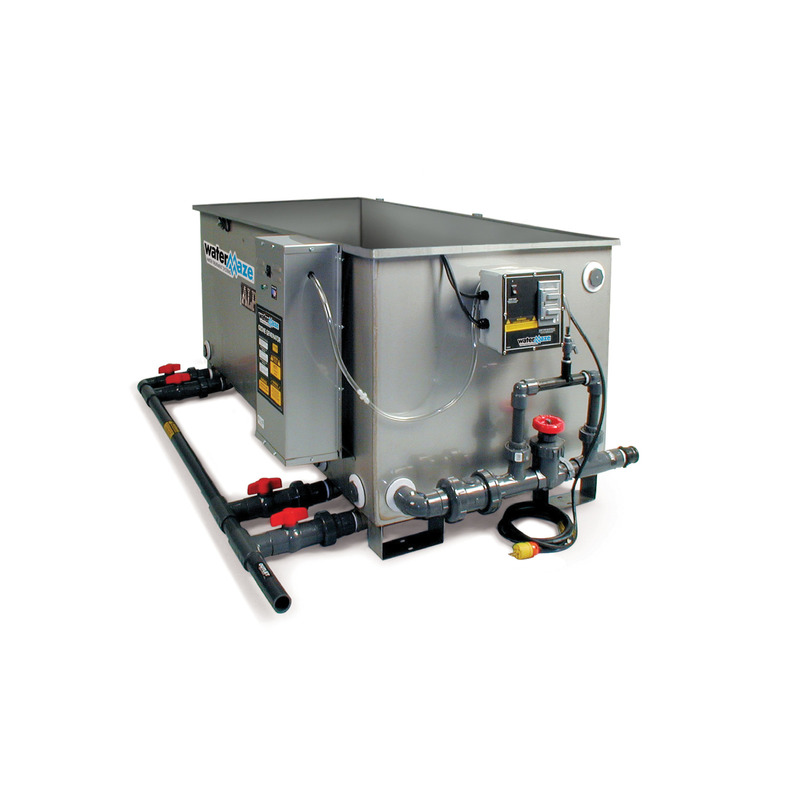 Alpha-3100D Above-Ground Separator 11034020 https://www.kaercher.com/us/professional/water-treatment-systems/oil-water-separation/alpha-3100d-above-ground-separator-11034020.html The Alpha is a highly effective above-ground oil/water separator that treats and discharges collected wash water to meet local and federal sewer sanitation regulations. The Alpha is a highly effective above-ground oil/water separator that treats and discharges collected wash water to meet local and federal sewer sanitation regulations. The Alpha is a highly effective industrial scale onsite wastewater treatment and oil/water separator system that works in conjunction with catch basins and collection pits to treat and discharge wash water to meet local and federal sewer sanitation regulations. The genius of the easy-to-use Alpha onsite wastewater treatment system is the proprietary “maze” design of the oleophilic—oil-loving coalescing plates, which are meshed together and aligned at a specific angle to produce optimum separation or oil and water. If you need industrial scale onsite wastewater treatment the Alpha-3100D is perfect because it accommodates water flow rates of up to 30 GPM and can be used in conjunction with other systems or serve as a stand-alone oil-water separator. Other features include its rust-resistant tank made of 12-gauge stainless steel, an industrial-duty ultra-violet ozone generator for optimum odor control, and a NEMA control center for automatic operation.